He had flown as a navigator with Bomber Command in the Second World War, flew with the air transport force and later specialised as a night-fighter navigator. He served on a strategic nuclear V-bomber base and later commanded a large RAF air base in Germany at the height of the Cold War. After serving in a senior appointment at No 11 (Fighter) Group, he was appointed as the Air Officer Commanding (AOC) No 18 Group where he commanded the RAF’s maritime air assets. Curtiss had his headquarters at Northwood, west of London, co-located with C-in-C Fleet, Admiral Sir John Fieldhouse. The two men struck up a strong rapport and friendship, and both knew how to mix humour with determination and attention to detail. As soon as Margaret Thatcher’s government authorised the formation of a naval Task Force to reclaim the Falklands following the Argentine invasion in April 1982, Fieldhouse was appointed Commander Task Force 317 and Curtiss was made his Air Commander. He commanded a large range of operational aircraft but much of the RAF’s activity was covert. Nimrods carried out maritime surveillance sorties and patrols in support of the Fleet as it sailed south and Hercules transport aircraft began carrying supplies to Ascension Island, the only staging airfield, lying almost exactly halfway along the 8,000 miles that separated Britain from the Falklands. Without the island’s single long runway, the RAF’s capability to support the Task Force would have been minimal. With such prodigious distances involved, the need for in-flight refuelling became paramount. Nimrods, Hercules and Vulcan bombers, and their crews, were hastily converted to the role, and the large force of Victor tankers at Ascension became pivotal in support of all air operations. This capability allowed Nimrods, and the Victors, to carry out reconnaissance sorties deep into the vast regions of the South Atlantic and Hercules were able to support the Task Force as it approached the area of operations. Crucially, it allowed Vulcan bombers to attack Port Stanley airfield and its defences. As operations increased, RAF Harrier ground-attack aircraft flew direct from Ascension to reinforce the naval squadrons on the aircraft carriers in the combat area. The limitations at Ascension made the need to identify priorities essential, and Fieldhouse and Curtiss decided these in consultation with the Task Force Commander. Once the conflict started, it was Curtiss’s task to keep Ascension resupplied, in addition to mounting the long-range missions to support the Task Force in the operational area. He also recognised the possibility of an attack against the island base and deployed Phantoms and Harriers to provide an air defence capability and RAF Regiment squadrons for ground defence. Once the conflict was over, much remained to be done. Ascension had to be maintained and, within two weeks of the surrender, Curtiss flew to the Falklands, where the runway at Stanley had to be repaired and equipped with landing aids to allow RAF Phantoms to deploy to provide air defence cover. He also identified sites for permanent radar and air defence missile units. 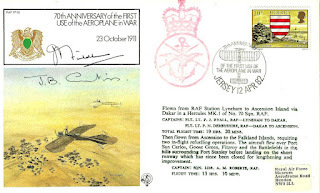 Curtiss recognised that the RAF’s role was largely kept hidden from public gaze because of the need to keep Ascension Island secure, but he considered the campaign to be a fine example of close inter-service cooperation at all levels. He was loud in his praise of the remarkable efforts of the engineers and support staff in the military and in industry. In particular, he singled out the vital importance of in-flight refuelling and commented that “without it, the RAF was impotent at long range”. For his services as Air Commander he was appointed KBE. John Bagot Curtiss was born on December 6 1924. He was educated at Radley College and Wanganui Collegiate School in New Zealand before attending Worcester College, Oxford. He joined the RAF in 1942 and trained as a navigator. He flew bombing operations over Germany with Nos 578 and 158 Squadrons, flying the Halifax. He joined the air transport force and in 1949 was promoted to be a flight commander on a York squadron, completing 263 return trips flying supplies into Berlin during the Soviet blockade of the city. In 1953 Curtiss converted to a night-fighter role and flew in Meteor and Javelin aircraft with Nos 29 and 5 Squadrons, the latter providing a quick reaction alert force in Germany. 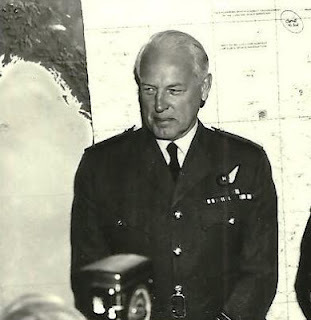 After commanding the operations wing at RAF Wittering, the home of Victor bomber squadrons equipped with the Blue Steel nuclear missile, he returned to Germany as the station commander at Bruggen, the RAF’s largest operational base. Curtiss managed the introduction of four Phantom strike/attack squadrons to the base where he flew with the units, often electing to fly with a junior pilot. He and his wife were popular with all ranks and, as a “people person”, he was recognised as an excellent station commander who ran a happy and efficient base. In 1974 he was appointed Senior Air Staff Officer at HQ 11 (Fighter) Group at a time when Britain’s air defence organisation was undergoing a major upgrade. In 1977 he became Commandant of the RAF Staff College at Bracknell, where the RAF’s high-grade junior officers, joined by international air force officers, were trained to fill higher command and staff appointments. Three years later, in 1980, he was promoted to air marshal and appointed AOC No 18 Group and Nato Commander Maritime Air Forces, Eastern Atlantic and the Channel, not expecting to find himself commanding air operations “out of area” during his final appointment in the RAF. He retired in 1983. 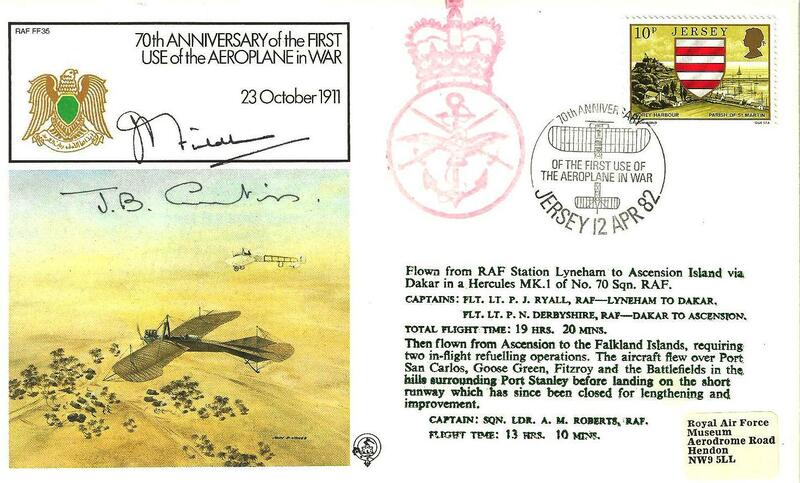 Curtiss’s career was a great inspiration to the navigators of the RAF. During his time, command appointments were dominated by pilots, but the abilities and experience of Curtiss (and one other) could not be ignored and they paved the way for a later generation of navigators to assume higher command. On leaving the RAF, he was appointed chief executive of the Society of British Aerospace Companies. His services were in great demand by charities and associations, with Curtiss, no mere figurehead, taking a lively and direct interest in their aims and work. For 11 years he was a member of the executive committee of the Air League and was President of the Aircrew Association and of the Berlin Airlift Association. He had a great affection for New Zealand where some of his family lived.